DUBOIS COUNTY WEIGHT-LOSS COMPETITION BEGINS JANUARY 2! 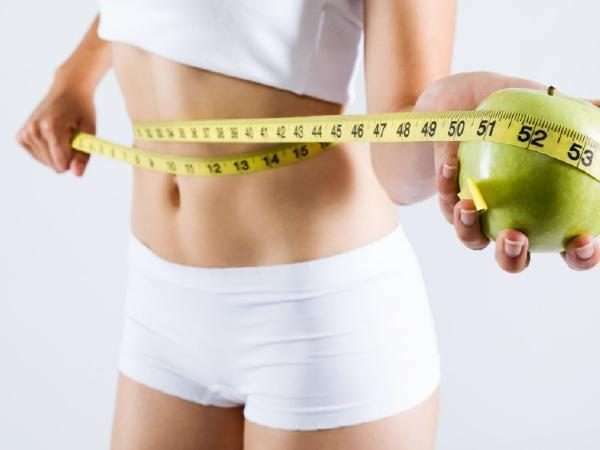 Jasper, Indiana– The Dubois County Visitors Center has announced that they are once again hosting a 10-week weight-loss competition for 2019, similar to the weight-loss competition that took place in 2013, 2014, 2016, & 2017. This competition will hold a person accountable to their weight-loss goals as well as give money to individuals who lose the highest percentage of weight loss. With the way that New Year’s falls on a Tuesday, the initial weigh-in will be taking place Wednesday, January 2nd anytime between 2:00 p.m. to 5:30 p.m. EST at the Dubois County Visitors Center located at 2704 Newton Street, Jasper, Indiana. If a person is unable to make it that Wednesday for the initial weigh-in, he or she may come in January 3rd or January 4th (Thursday or Friday) between the hours of 8 a.m. to 4:30 p.m. EST at the same location. The initial fee to enter the competition is $10. If a person misses a weekly weigh-in, he or she will have to pay $1 for every weekly weigh-in that is missed. Weekly weigh-ins will be taking place between the hours of 8 am to 4:30 pm every Monday or 8 am to 5:15 pm every Tuesday, whichever times works best for each individual in that given week. Some exceptions will exist in which participants will be given specific schedules the week prior if the Dubois County Visitor Center has any conflicts such as specific holidays or meetings, in which case the weigh-ins will be slightly adjusted for those weeks. The final official weigh-in will be on Thursday, March 14, ending at 5:30 pm (must weigh-in prior to this time). If you are unable to make it on that date, you may also come in earlier that week during normal business hours; 8 am to 4:30 pm. Each week during the weekly weigh-ins, if no weight is lost, the person will have to pay $1. If weight is gained, the person will have to pay $1 per pound gained. For example, if a person gains two pounds in a given week, that person will have to pay $2. Weight is measured to the tenth of the pound increments, so as long as a tenth of a pound is lost each week, the person will not have to pay any additional money. No other individuals, besides the two people conducting the weigh-ins, will know the other participants’ weight. Weight-loss measurements of success will be based on percentage of weight-loss and not on pounds lost. A weekly progress report will be sent to the individuals participating in the competition to keep track of where they stand on their goals, as well as their ranking in comparison to others in the competition. The progress report will include the percentage each individual lost that week as well as the pounds. The pounds are included because it motivates individuals to continue their progress! The person that loses the highest percentage of weight-loss will be receiving the majority of the money collected with a smaller percentage given to other places. Some years there has only been first and second place winners, and other years there has been up to fifth place money prizes. It all depends on the number of participants and the amount that was collected. A small percentage will also be going towards charity to the Dubois County Community Food Bank. For an example, in 2016 (the year that had the greatest number of participants), a total of $1,117 was collected. The first place winner received $450 of the money collected (40%), the second place winner received $300 of the money collected (27%), the third place winner received $125, fourth place $80, fifth place $50, and $112 (10%) went to food bank. *Disclaimer: This weight-loss competition is not in any way affiliated with “The Biggest Loser” program and television show. This is more of an on your own type of program. Participants are welcome to get trainers or whatever he or she would like to do in order to lose weight, but they will not be provided. However, people will be able to socialize and schedule their own group exercise if they wish. The weigh-in will be taking place at our Visitor Center office, which is connected to the Dubois County Museum.